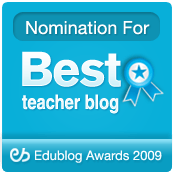 One of the things that came up recently was how to use Making to teach traditional subjects like, for example, history. I’m of the opinion that teaching Making for the sake of making things is valuable, but not everyone finds that argument convincing. 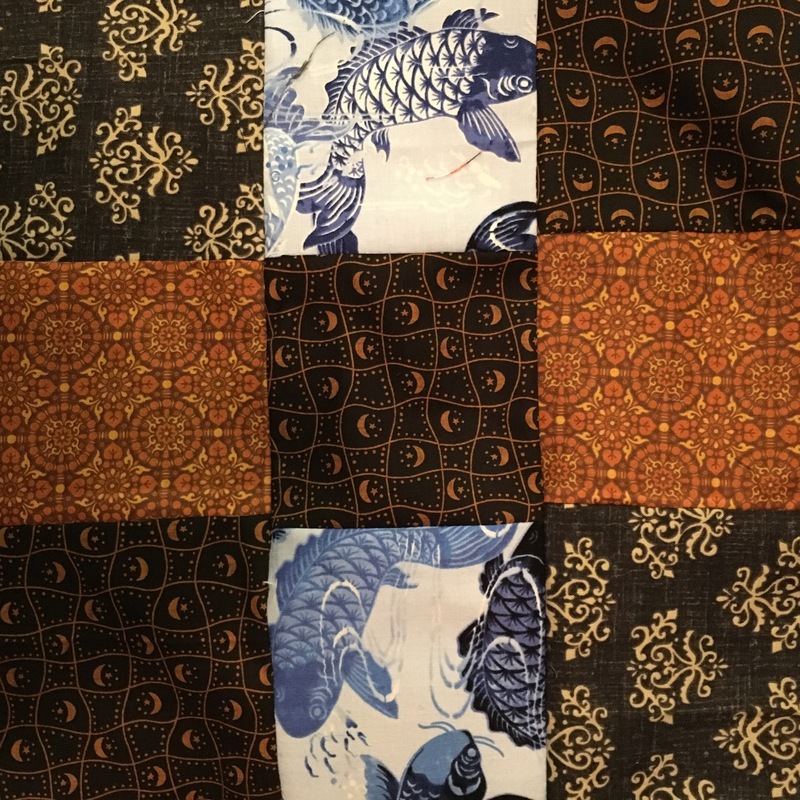 So I figured, its time to learn some more advanced quilting techniques. 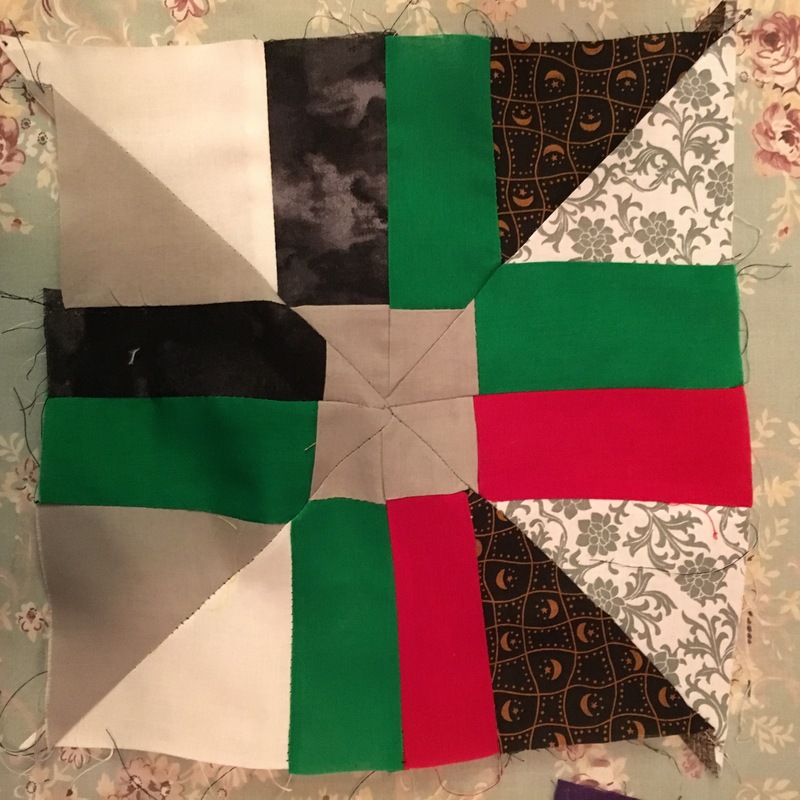 A lot of the techniques, though, involve cut and reassemble: that is, assemble nine squares into a 3×3 block (or assemble 3 strips into a square); use a rotary cutter or scissors to slice and dice the 3×3 in a variety of ways — mostly diagonals, and side-midpoints; and then sew and re-assemble. The first step, therefore, was the assembly process. 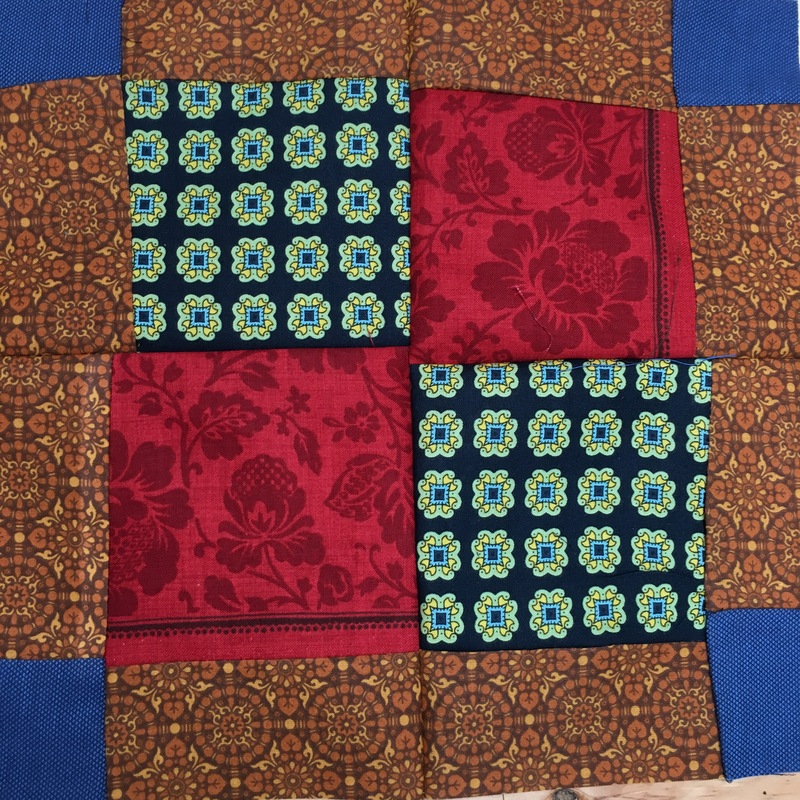 I had to make up a number of 3×3 squares out of experimental fabric squares of various sorts. 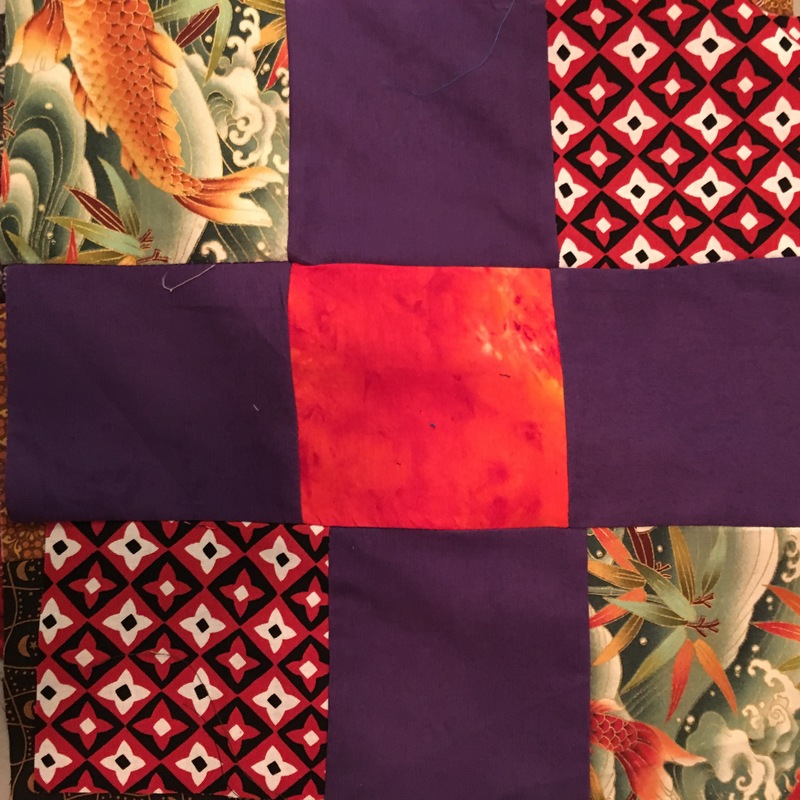 This has led to the creation of the various squares of fabric that illustrate this post. 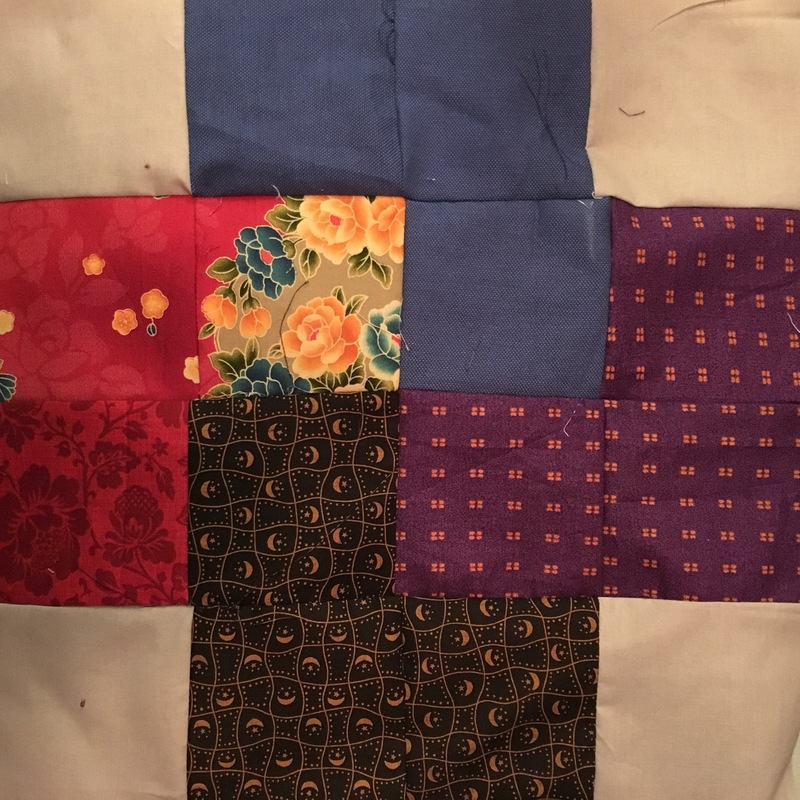 These are mostly 5″x5″ squares of fabric that I cut up from the remnants of my scrap bin — none of these squares would exist, were it not for other projects. But I find that I’m not entirely ready to slice and dice the 3×3 grids to make new things…. Except that finally, I got over my fears. I did a four by four grid, to make an approximation of the form called the “Card Trick.”. 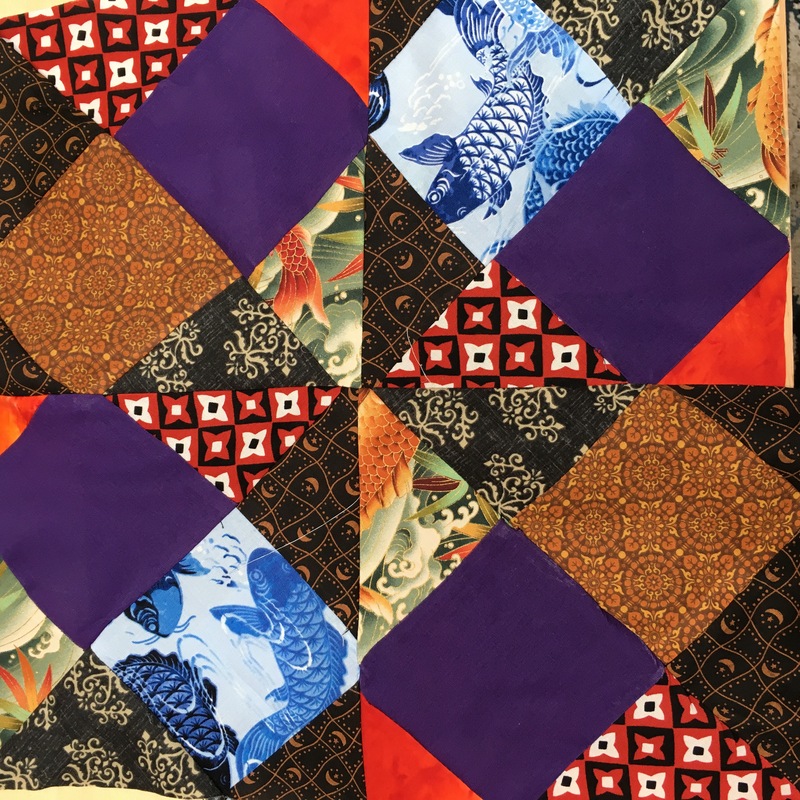 I learned quite a bit about quilting from this one— the card trick is usually produced on a diagonal, and out of triangles. Finally, I got out the rotary cutter. And I sliced up one uninspiring 3×3 grid both directions: both diagonals, and both side-midpoints. 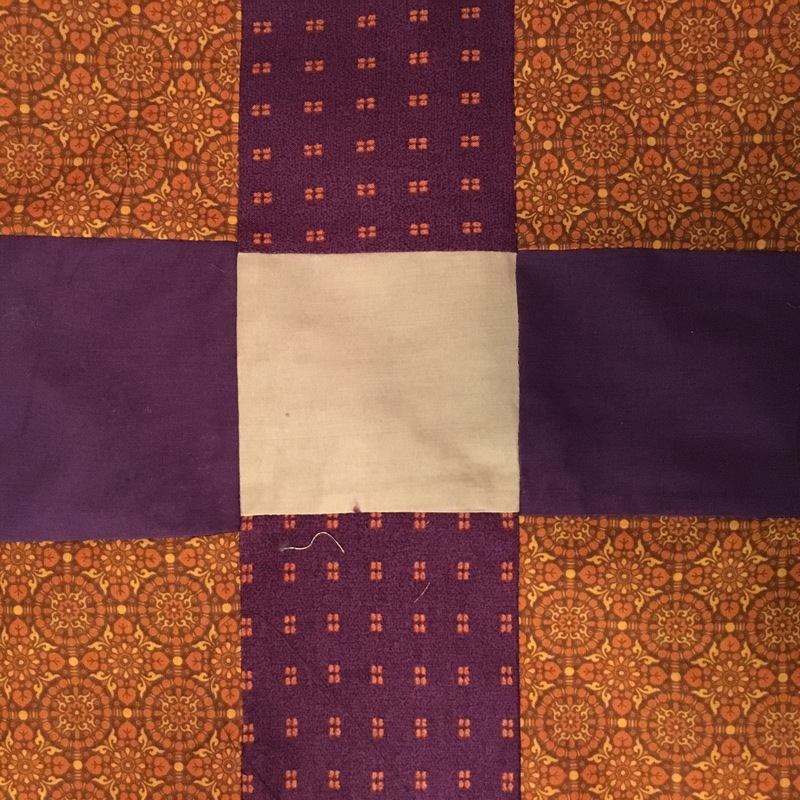 Then I sewed these triangles together to form this crazy form of a cross. You can see that I need more practice at accurate cutting — but you can also see that complexity emerges from the Solve Et Coagula: the dissolution and recombination of parts. That is to say, when we take the raw material and subject it to both geometry and the knife, to both the straight edge and the rotation, new properties emerge from the old ones. This isn’t to say that all of these patterns are beautiful — some of the cutting and sewing results in asymmetry or dullness or plainness. Some patterns won out for being more interesting or vibrant — some lost for being less interesting or uninspiring. 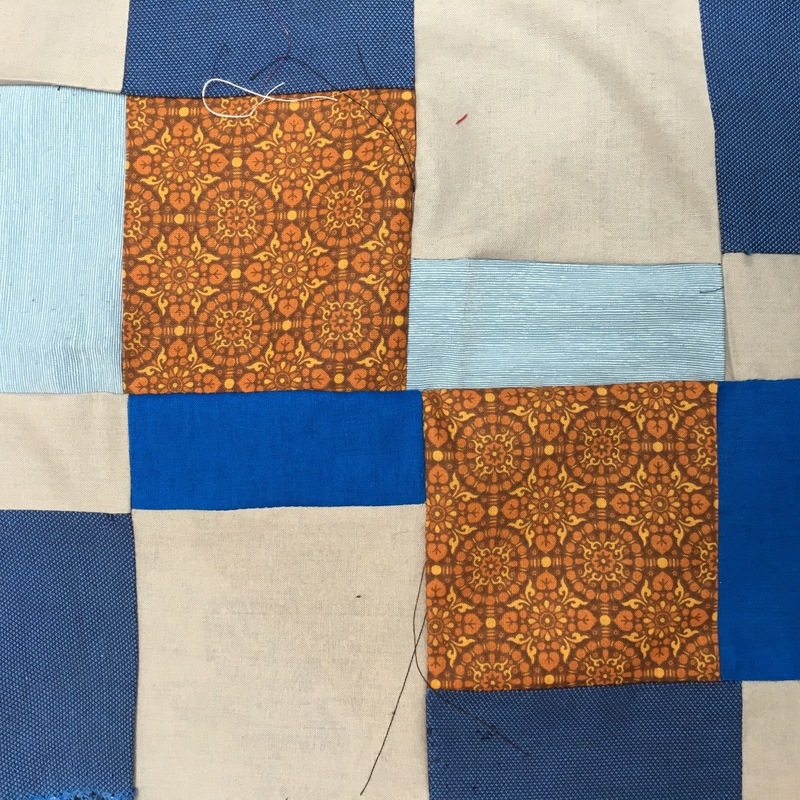 But it’s clear to me that quilt patterns emerged from certain standard practices to preserve fabric waste, and the discovery that the principles of geometry (not necessarily formal geometry, but more practical elements of it — straight edges, diagonals, rotation, and other practices) could be applied to fabric. Remarkable realities lurk inside any raw material — wood, glass, paper, metal, plastic, and yes even textiles — but it’s the mind and hands of the artisan that bring these materials to the surface.